The proposals for superblock 864000 can be viewed below or on the forum here. Voting will close at Block 861120, but your node must remain active until block 864000 for your vote to count. Please note, proposals are being submitted individually so please make sure you scroll down and take your time to look over each proposal. Various supporting day-to-day dev tasks, maintaining the build system (gitian), and automation implementations (CI/CD pipelines) for various blocknet projects leveraging aws. The cost includes infrastructure costs, maintenance and additional development. As part of the docker effort in march, I’ve identified an automation approach to having the dockerfiles auto-generated,pushed to docker hub which is triggered by updates to the latest config manifest. Proof of Concept scripts where created for each leg of the process. The objective would be to formalize those scripts into a final solution, making docker updates fully automated. The API and DOC sites will also be fully automated based off github push’s, streamlining the process for updating. Blocknets new forum is deployed, additional work is required to split off the docker image into an HA deployment on aws. This proposal is being made to cover the total costs of our AWS expenses for the month of March. The reason for this request is that these funds are currently left dormant, following the removal of @cryptoved from his former Marketing role and the termination of the BLOCK1000 intiative that was under him. We believe that these funds could be used for other Marketing initiatives, primarly for the purpose of airdrops to other communities, which was their original intended use case. Airdrops have already commenced via our tipbot, raffles and other such handouts in our server and others. The funds are requested to be moved directly to the Marketing fund pool (above) by @cryptoved, should this proposal pass. This build and test server is responsible for auto-generating all of the dev builds for Linux, Mac, Windows and is important for QA testing as well as for validating Blocknet’s code on github. It also allows the community to beta test our upcoming releases. Core development in March has been focused on the XRouter Beta and fixing critical bugs in the core codebase (including fixing the chainstate issues). XRouter progress can be seen here: https://github.com/BlocknetDX/blocknet/commits/fix-xrouter. The planned release for XRouter is very soon, targeting end of the month. Blocknet desperately needs a new base blockchain and we’re planning on forking the latest v18 Bitcoin codebase to put us in line with the best security, network protocol optimizations, and optimized code. We plan on adding Service nodes and staking to the v18 Bitcoin codebase. * A bug regarding the tx broadcast still unsolved. 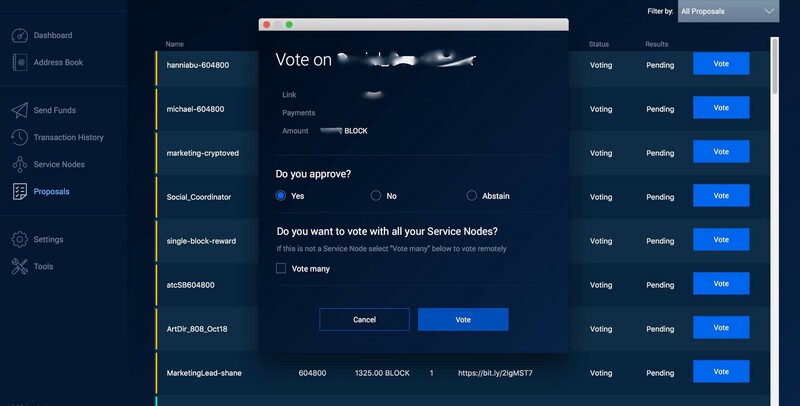 As the operations director for Blocknet I would like to contribute to the project by giving assistance to the fundamental tasks that need to be completed in order to run a tight operation. These tasks may include but are not limited to, marketing, web development, graphic design, search engine marketing, hiring/management of external help, failure oversight, planning and coordination. I believe that by opening a position that looks after purely operations, we can better have an understanding on where our areas of failure are and my responsibility would be on how to solve those issues. Leaving the development work, to those that are best suited for that position and freeing them up of valuable time. I’d like to keep the position entirely unpaid. The only pay that is awarded to me would be for external expenses such as hiring of staff, costs related to business transactions. Which would be transferred to the recipients. Those expenses will be asked to be repaid to me on the approval of the subsequent superblock. All transactions will be recorded and displayed upon voting. – More will follow this month. – Now that Coin announcements have resumed, I am working with the UAT team and representatives of various tokens regarding the scheduling of announcements and the creation of new Coin Hub pages. – The regular Token/Coin recap articles have now resumed in conjunction with the next phase of Block DX token announcements. – Pushing out Delta Direct notifications has been added to my purview of social media responsibilities. – I am working closely with other team members on coordinating a forthcoming marketing campaign. – Since the departure of the marketing director and co-brand lead, I am now responsible for an estimated 90% of the current social media output across Facebook, Twitter, Reddit, BTCTalk, Instagram, and Medium and shortly, Delta direct moving forward. – Maintain and manage the social media profile of Blocknet on Facebook, Twitter, Reddit, BTCTalk, Youtube, Medium and other platforms. – Ensure communications from the developers and marketing team can be transmitted in a clear and timely manner to the community. – Respond to the community. – Compile and write regular newsletter. – Contribute to various marketing materials and initiatives. – Write press releases and news updates. – Write and create articles for specific initiatives. – Manage, source, correspond and coordinate payments to news and media outlets. – Maintain various internal spreadsheets. – Participate in strategy discussions as part of the strategy group. – Creation of coin hub pages. Please, note, the amount requested is due to increased reasonability and workload as well as to address the previous 6 months of payments that equalled less than the minimum hourly wage. Below is a non-exhaustive list of tasks we will aim to spend our time on. Some tasks will take priority over others, based on many variables, but we will aim to cover both ‘roles’ in a efficient and sufficient manner, based on what makes the most sense at the time. Please be aware that due to the necessity of managing our time and prioritising these tasks, based on how critical they are, it may not be possible to address every single point listed below. But rest-assured, our team will aim to work in a way which is the most optimal and beneficial to the project, at any given time. Coin Announcements lifecycle: from initial integration/QA to community/partner outreach and coordination of announcements/support. In reference to the above: approaching communites of newly announced coins in an effort to bring about more adoption from freshly launched projects. Hopefully some day making Block DX the ‘go to’ for new projects who are seeking a place as their first exchange listing. Helping to support and promote the DX to communities that are integrated in to our protocol, both old and new. Using raffles, airdrops, tips (etc) as a way to enable people to try the DX using these small portions of BLOCK as trade-fees. Pushing awareness of Blocknet throughout the communities of our supported projects and partners. Co-marketing efforts may be taken up where possible or beneficial. Collaborating on the creation and maintenance of documentation: EG Tutorials, resources, informative articles and other content, for both our community and a wider audience. Dealing with the necessary communication and discussions with any potential partners and third-parties who would like to work with us. EG: Exchanges, dev teams, projects and any other interested parties. 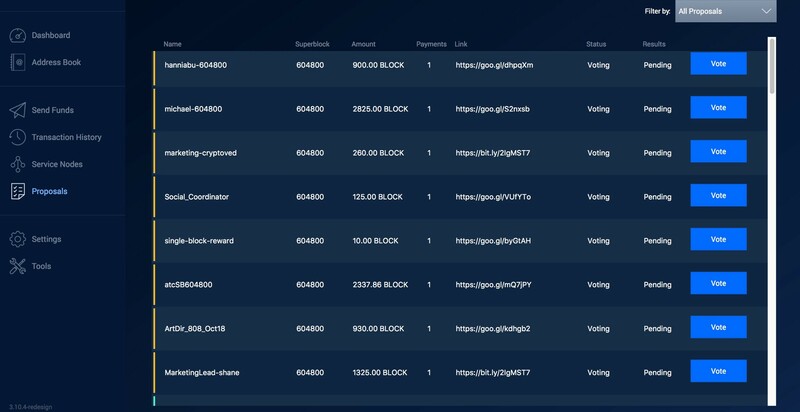 Aiming to increase the amount of pairs available to trade via Block DX, by helping to increase the node support and maker bots available on those newly supported chains. In addition, we have created a separate proposal notification email alert reminder that snode owners can sign up for here so they do not forget to vote. (This email is separate to the Word on the BLOCK newsletter email).